Disclaimer: These drawings are for fun and are meant to be an insight on how my character sees the world. Basically, these drawing are not official art of Isla Aukate's setting just a interpretation. Characters will only be drawn if given permission and I am not required to draw your character. If any of the admins or mods finds a problem or doesn't want something drawn feel free to send me a pm. Thank you for reading! 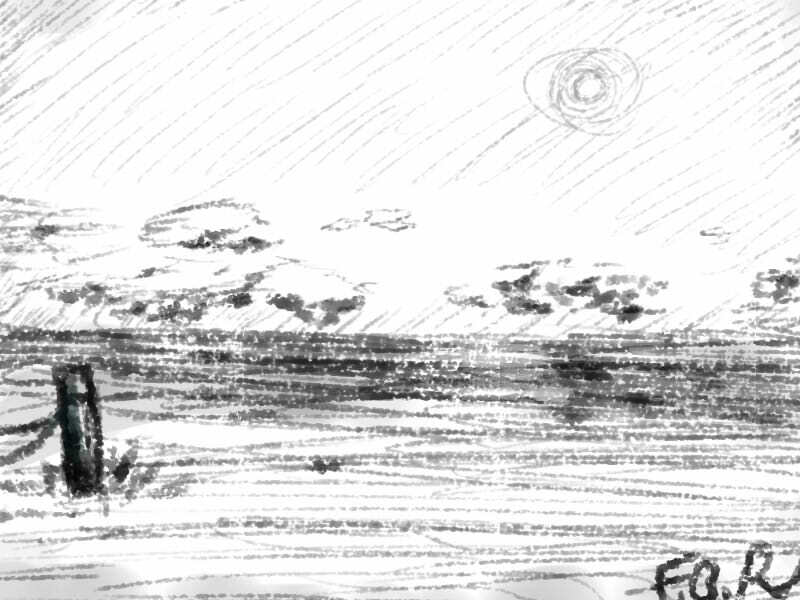 A drawing of the ocean. Keep in mind, Felix did lose his dominant hand and he was only able to do this with practice. Don't expect great quality. Thanks for the reply Socks! I was worried if this was a good idea or not. More to come soon hopefully!